Should Montana be taxing required pollution control equipment? Montana lawmakers may vote to remove the state’s tax on certain industrial pollution control equipment. Senator Bruce Tutvedt (R-Kalispell) is sponsoring SB240, which removes taxes on new “air and water pollution control equipment” installed by companies like electric cooperatives, power plants and factories. Senator Tutvedt argues the government exempts other entities from taxation that are seen as a public good, like hospitals and churches. Representative Tom Jacobson (D-Great Falls) has some reservations about the proposal. He argues pollution control equipment still adds value to a company “and therefore, based on our tax system there is a tax rate that should be attached to it.” However, Jacobson does say he understands the argument behind dropping the tax, saying “we should incentivize good behavior and penalize bad behavior.” Jacobson says he prefers the idea of lowering the pollution control equipment tax–but not necessarily eliminating it. Another bill by Representative Mike Miller (R-Helmville) does gradually lower the pollution control equipment from its current three percent. That bill is waiting in the Senate. Legislative analysts say pollution control equipment in Montana brings in about $21 million a year in total tax revenue to state, county, and local governments. Senator Tutvedt’s bill would only remove taxes on equipment purchased on or after the first of the year–so it wouldn’t immediately touch that $21 million. However, that revenue would decrease over time as older equipment drops in value and companies upgrade. Tutvedt’s bill passed it’s initial vote in the Senate 40-9. It’s final vote was caught up in the April 5th Senate Democratic Protest. That vote was 28-0. No one spoke against the bill in the House Taxation Committee hearing. The 2013 Montana Legislature is one procedural vote away from having a State Revenue Estimate–something that never passed the 2011 Legislature. House members unanimously passed the estimate, or Senate Joint Resolution 2 Tuesday on second reading. SJ2 has already passed the Senate. “Members, we need to get this passed so we have an official revenue estimate and appropriations (committee) can get busy spending it,” said House Taxation Committee Chair Representative Mike Miller (R-Helmville). A bill’s second reading gives lawmakers a chance to debate that particular bill. No one spoke in opposition to the estimate Tuesday. The revenue estimate needs to pass third reading before becoming official. Montana lawmakers are making their way through the process of passing a revenue estimate for the next two-year budget cycle. The revenue estimate is used as a basis for state spending. Thursday, a joint committee of House and Senate members heard explanations of the estimate from the agency in charge of preparing it, the Legislative Fiscal Division (LFD). The Governor’s Office of Budget and Program Planning (OBPP) also presented it’s revenue estimate figures to the committee. This year, however, the two estimates provided by the LFD and OBPP differ by only about one percent. That equals to about $62 million dollars out of about a $4 Billion dollar General fund budget over the next two years. 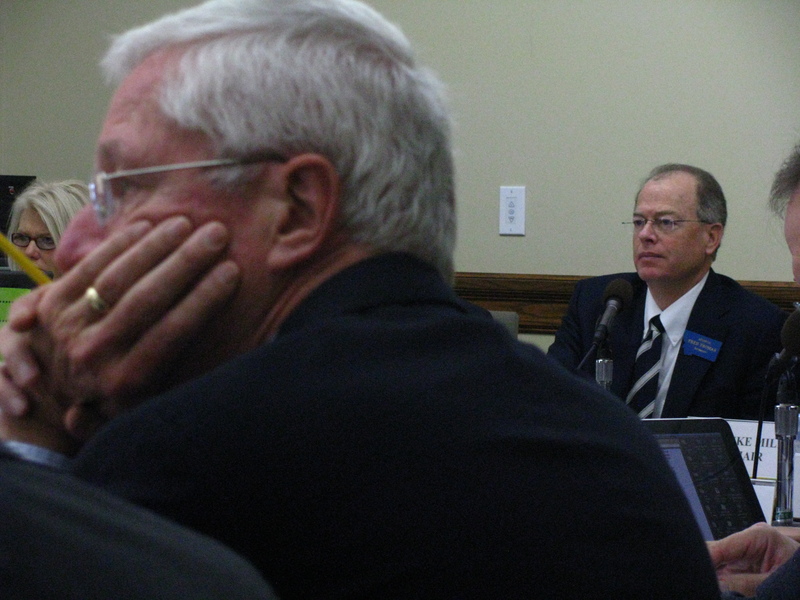 Senate Taxation Committee Vice-Chair Senator Fred Thomas (R-Stevensville) said he is optimistic the bill will move out of his committee in a timely fashion, either Friday of Monday. He says the process has been very thorough. “We’ve reviewed how they’ve done the estimate, what the estimate is to this point in time…the process has been very uncontentious this time,” Thomas said. He expects the bill will pass the Senate next week and move to the House. The revenue estimate never had a vote on the House floor during the 2011 Legislature, as House Speaker Mike Milburn kept it bottled up in the House Taxation Committee, looking to change the estimate. The same thing happened the two sessions before that. House Taxation Committee Chair Mike Miller (R-Helmville) said new rules passed this year mean the revenue estimate must make it to the House floor for a vote.